Repair service for Audi A4/S4/RS4 equipped with Bosch RB4/RB8 Premium TFT Display Instrument Cluster. Repair restores faulty Color LCD panel or its backlighting issue. Several components are replaced with new/improved parts in order to restore full functionality of the LCD panel and its backlighting. 24-48hr service guaranteed. Customer responsible for shipping costs. Expedited/Express shipping available at checkout. Repair service requires your instrument cluster to be removed from the vehicle and shipped for repair. 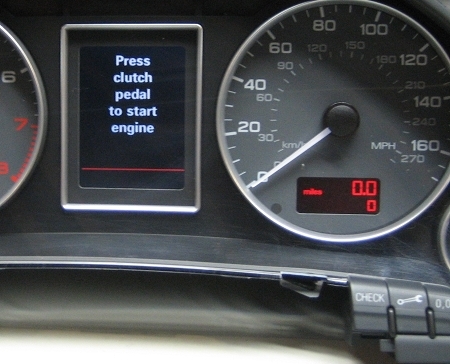 Repair will not change or tamper with the current odometer reading or immobilizer settings in your instrument cluster. You will receive the same cluster you shipped in for repair.